Bakehouse white bread filled with berry compote, fried in real vanilla batter. Served with Ralph Snow's Michigan maple syrup. 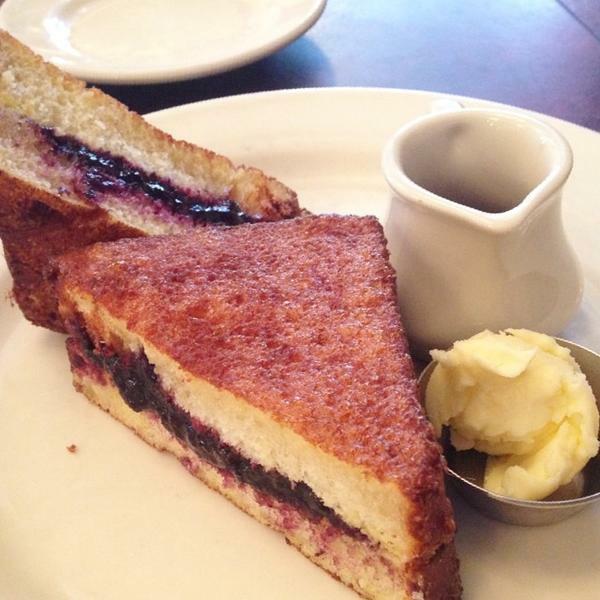 "...matt ordered the american spoonfruit fried french toast, which was two thick slices of bakehouse bread filled with blueberry preserves and fried in a vanilla batter..."